Recently, my brother and I were taking a road trip from Philadelphia to Pittsburgh and back. The trip is about 9 hours in total, so we looked for an audiobook that would take up most of that. Both being avid Ansari fans, we made this choice quickly. I am an advocate of listening to books written by comedians over reading them. The voice inflection just does something magic to it. See also Amy Poehler’s Yes Please and Tina Fey’s Bossypants. We knew that this book used some social science research, but what we weren’t prepared for was that it is essentially a sociology book, written by a very smart funny man. 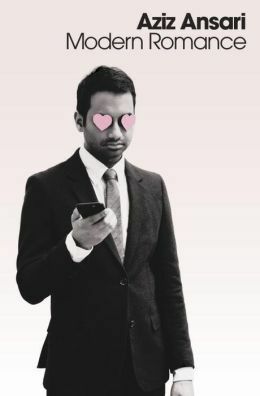 Ansari teamed up with social scientists across the country and world to produce Modern Romance, utlizing focus groups, surveys and interviews to find out how romance and notions surrounding it have changed over the past few years. We sat in rapt silence, occasionally pausing it to talk about what we thought about what he was saying, and occasionally laughing hysterically at Ansari’s asides and one-liners. Mostly though, we learned. It was a fascinating book. Our favorite chapters were the ones which talked about romance in Doha, Tokyo and Buenos Aries, for the record. I highly recommend this book for anyone who is interested in how sexuality and romance and commitment and marriage have evolved culturally and societally over time. The humor is a great seasoning to the meat of the data and its presentation, but this is not a book you come to for the jokes. Again, I’d highly recommend the audiobook – Ansari is a great narrator and makes the data truly come alive. Since this was a road trip book, we enjoyed it with Diet Coke (me) and Red Bull (him). Pitfalls of dating an Argentine: A blog for expats and natives alike which explores further the things covered by Ansari in his section on the capital. What Single Women Should Know Before Moving to the Gulf for Work: A very informative article and well worth the read just to know!